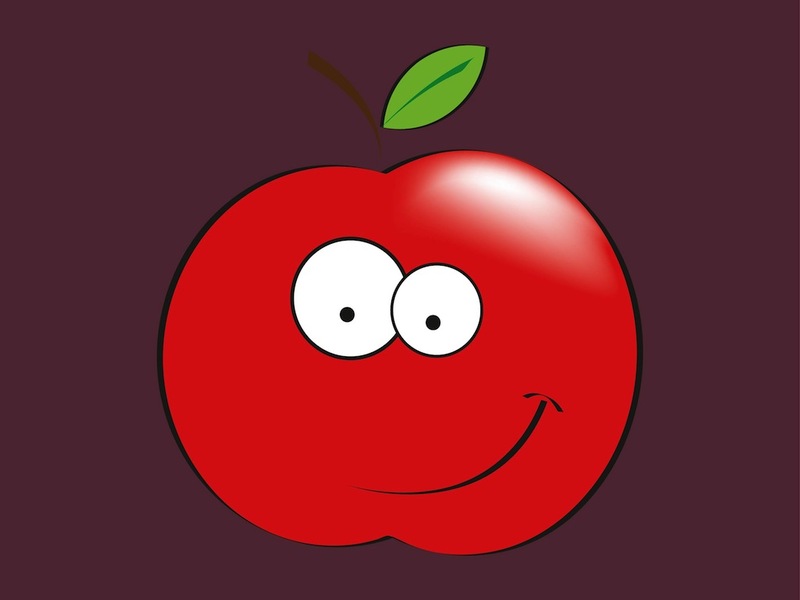 Smiling cartoon style vector illustration of an apple character. Shiny surface of the fresh ripe fruit, friendly smile on one side of the face, eyes with different sizes and a small leaf on the top part of the fruit. Free vector illustration for all fruit, healthy, food, diet, company mascot and children’s book character designs. Tags: Cartoon, Dessert, Face, Food, Fruit, Health, Smile, Smiling.